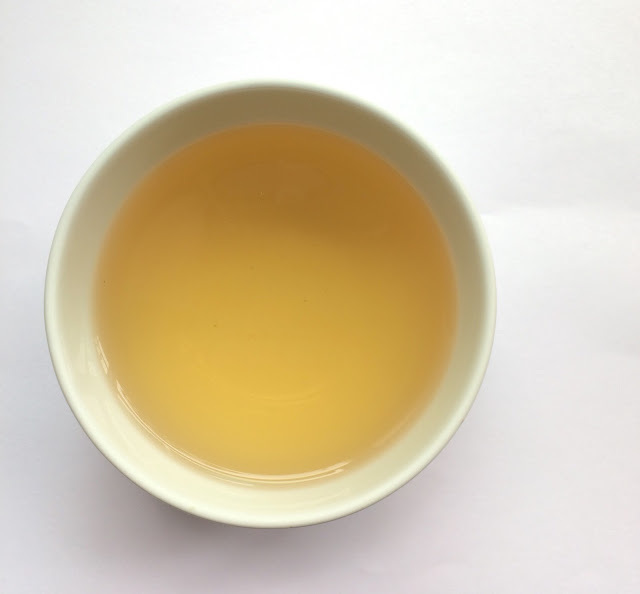 I sampled four Tea Campaign Darjeelings this month: 'Selected Darjeeling' Harvest Blend 2014, First Flush 2014 Blend, First Flush 2014 'Pussimbing', and Second Flush 2014 Blend, all FTGFOP-1. Aren't the leaves of the Harvest Blend 2014, pictured above, pretty? I had a challenging time steeping the Harvest Blend 2014 using the recommended 2g of tea leaves to 250mL of water to my satisfaction. What finally worked for me was 1 teaspoon for me, 1 teaspoon for a guest, and 1 teaspoon for the pot in about 325mL of water. This preparation yielded a robust cup of Darjeeling. To prepare the First Flush 2014 Blend I used 2 teaspoons of leaves to 250 mL of water and steeped for 3 minutes. (Initially I used a tasting cup but the proportions were not successful.) The leaves when first wet had the aroma of a shincha. Yes! The liquor was very dry with a nutty (almond) finish. It was also green, like if one were to chew on a plant stem. The dominant note of the First Flush 2014 'Pussimbing' was herbal. I also tasted notes of tropical fruit without the sweetness. This tea was slightly dry with a long finish. With the Second Flush 2014 Blend I expected bolder flavors (though not as bold as a fall flush). However, this Darjeeling was my least favorite. I only detected a light maple syrup flavor. The first flushes were my favorite of the four Darjeelings. Are you a Darjeeling drinker? How do you prepare a cup of Darjeeling? Find the Tea Campaign Canada shop here. 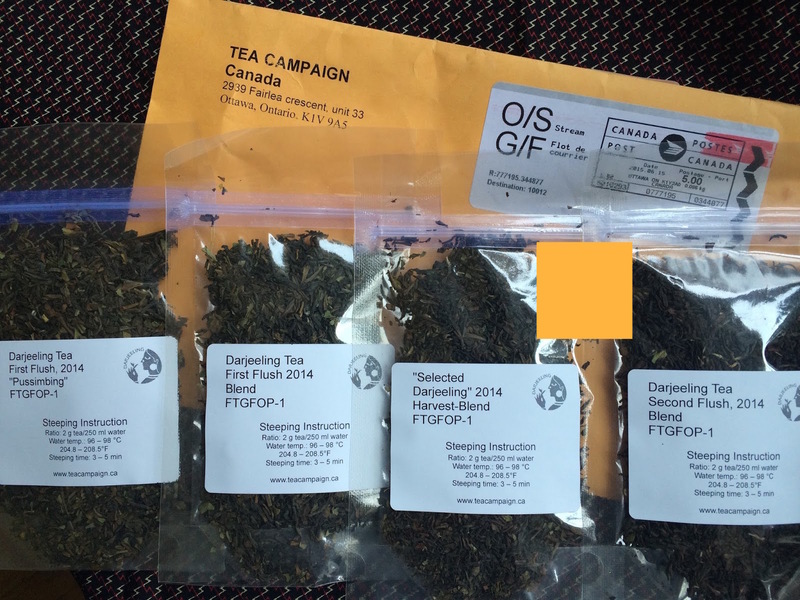 Tea courtesy of Tea Campaign Canada. Thank you.